What little girl (or grown girl) wouldn't love this one?? 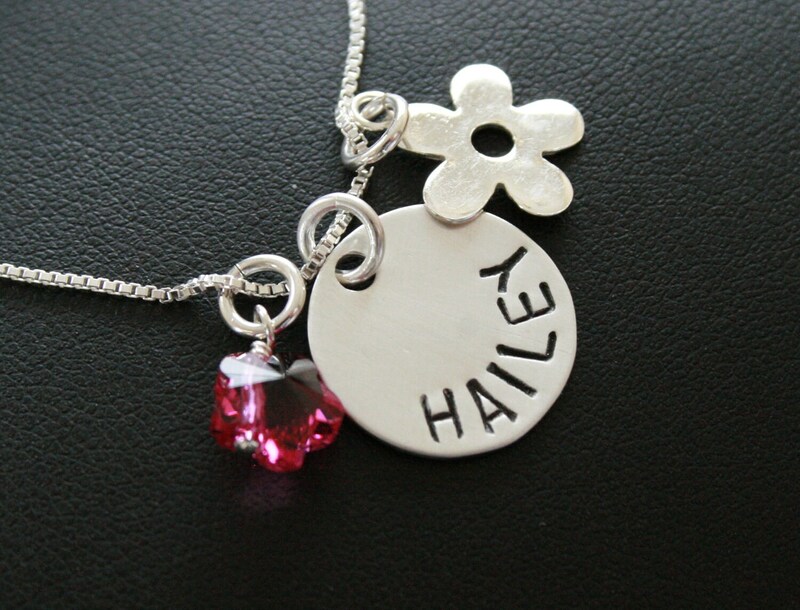 This listing is for one round disc, flower charm and a fuschia flower Swarovski crystal. Please make a note of what name you would like on the disc. Additional discs may be added for $10.00 each.